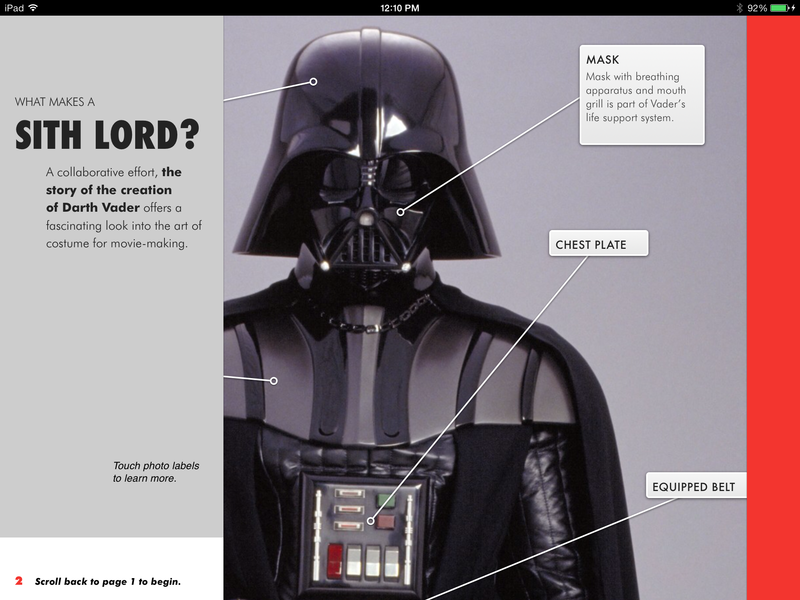 designfarm | The Fourth Wall » Blog Archive » May the Force (of iBooks) be with You. 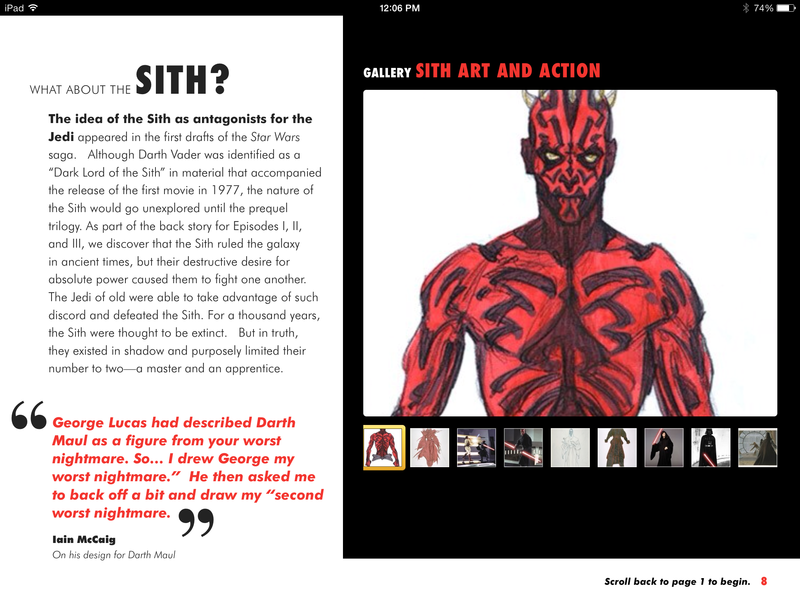 2.11.15 May the Force (of iBooks) be with You. I had the distinct pleasure and thrill to work on an exciting exhibit developed by the Smithsonian Traveling Exhibtion Service (SITES), in a partnership with Lucas Films. 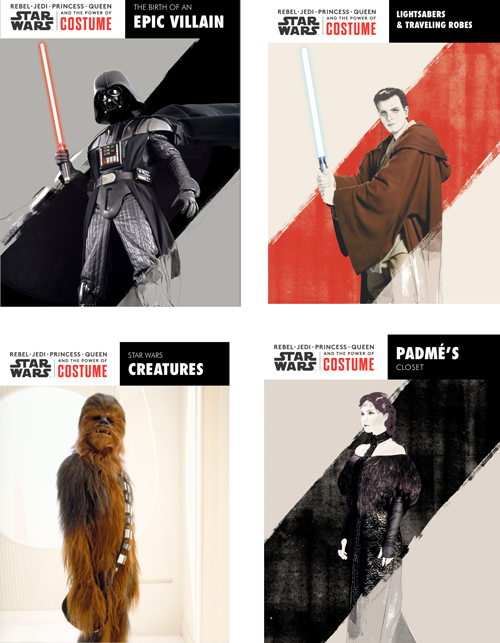 Rebel / Jedi / Princess / Queen: Star Wars and the Power of Costume opened last month at Seattle’s EMP Museum to much excitement, fanfare and terrific press. designfarm was responsible for the design and production of the interactive/digital exhibition pieces including 3 mounted slide shows, and 4 interactive iBooks residing on iPads built into the exhibit panels. 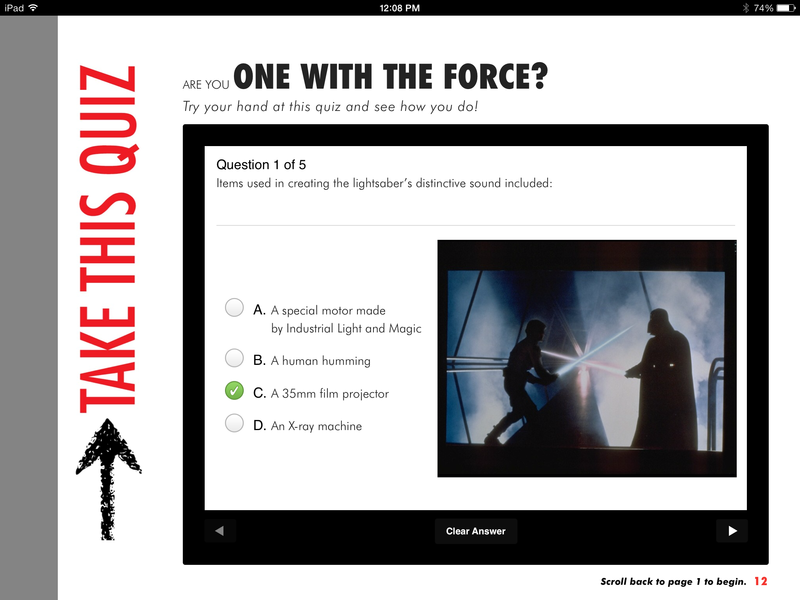 Giving visitors a fun hands-on experience, the iPads deliver auxiliary content such as video, audio, extensive image galleries, pop-up images and quizzes as shown on the pages you see in this post. The video above provides a fantastic overview of the entire exhibit, with iPads seen in use at approximately 2:43. Affordable kiosks to securely house interactive iPad exhibits are available for the small museum seeking to use this technology without custom building. Access to the home button and internet are disabled in the exhibit setting while still providing an engaging touch-pad experience for users. Engage your visitors, young and old… entertain and inform with dynamic content… educate by offering memorable interactive quizzes… so much is possible in using the iBook delivery format in the museum and gallery setting, or as a sales tool in business meetings. Not sure whether you need an ePub or an iBook? Need details about device compatibility? Get in touch to learn more and consider bringing the force of these creative tools to your exhibition or collateral materials.